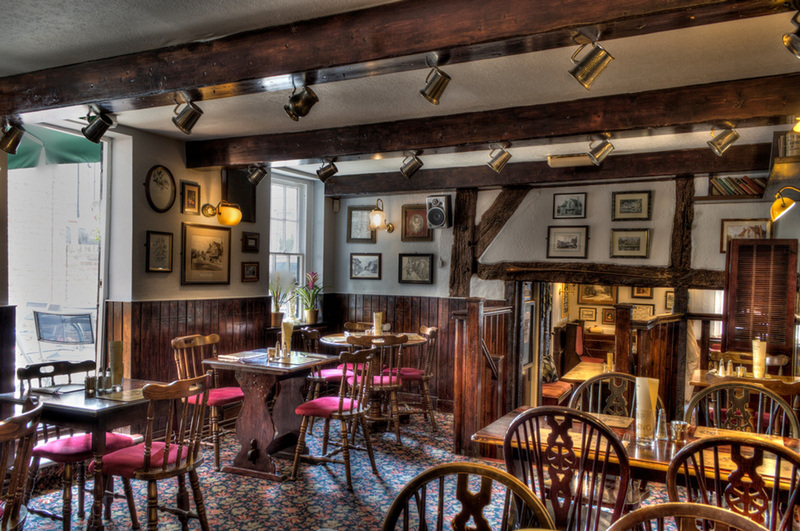 The Running Horse serves traditional British food crafted from fresh, seasonal and local ingredients. Meat is supplied by Black Barn Butchers in Milford, Godalming, fruit and vegetables by Fruit Grove, Bookham and cheese by Neil & Michela at Norbury Park Farm, Mickleham. Lunch and dinner are available through the week, with jacket potatoes and sandwiches and hearty mains including burgers, pies and fish and chips on offer. On Sundays there’s also a traditional roast, served from 12pm to 5pm. Food is served in the comfortable, characterful dining room or in the bar - or join us in summer and you can dine outside. Book a table today.